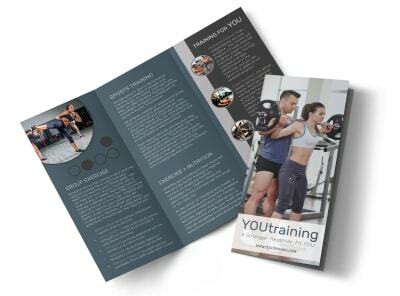 Help prospective personal training clients see how they can fit a workout into their busy schedule and reach their fitness goals by showcasing your abilities and services in a custom-designed brochure. 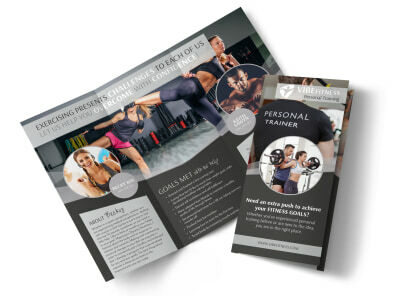 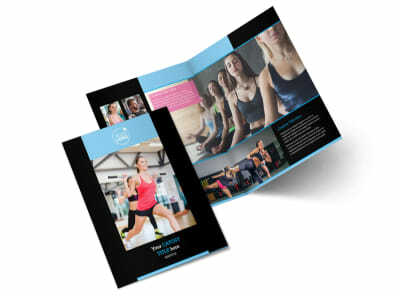 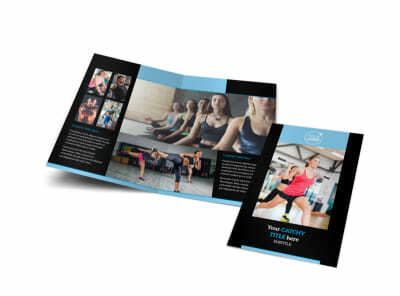 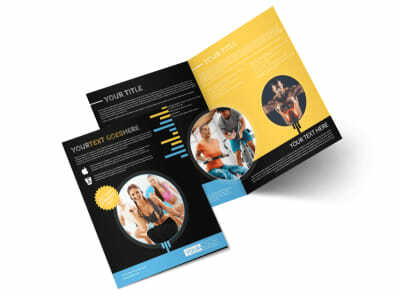 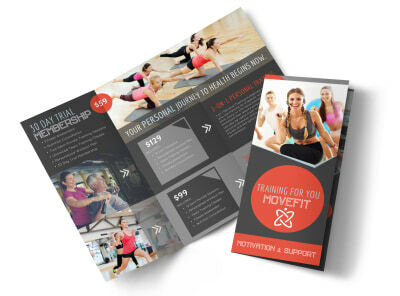 Our professional designers would all love to have their own Bob Harper or Tracy Anderson to get them moving, so they’ve created a healthy assortment of bi- and tri-fold personal trainer brochure templates to help you take that first step. 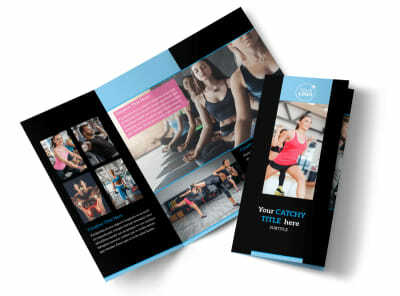 Our online editor gives you a secret weapon, and the ability to share or print absolutely anywhere is our favorite part – start today so no one gets left behind!